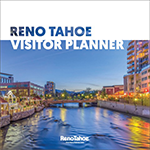 For the entire month of July, Reno is Artown! 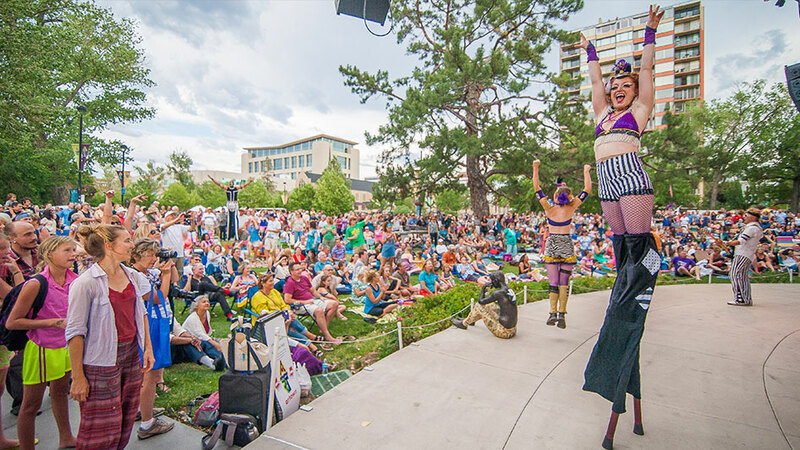 Regarded as one of the most comprehensive arts festivals in the country by the National Endowment for the Arts. Embraced by the community since 1996, July in Reno only means one thing . . . . Artown! This arts and cultural festival features over 500 multidisciplinary events including music, dance, theater, visual arts, workshops, art walks and much more. Offering a majority of events free to the public, Artown invests in bringing artists of the highest caliber to Reno while elevating Reno’s own local talent. Experience fun for the whole family and celebrate all that the arts have to offer. Featured performers and the detailed schedule of events will be announced in May, 2019. There are literally too many events to list them all, but here are some fan favorites. Opening Night Jubilee – FREE to the public. Wingfield Park and City Plaza come alive on July 1 as the official opening activities take place from 5:00pm-11:00pm. Monday Night Music Series – FREE to the public. On Monday evenings at the beautiful Robert Z. Hawkins Amphitheater, enjoy superb musical performances starting at 7:30 p.m. (gates open at 6:00 p.m.). Fourth of July Celebration – FREE to the public. Laura Jackson conducts the Reno Phil Orchestra at Wingfield Park (7:30 p.m.) with a concert honoring our nation’s birthday. Followed by fireworks. Cultural Connections – FREE to the public. Enjoy music each Wednesday evening at Wingfield Park at 7:30 p.m.
Movies in the Park – FREE to the public. On Friday evenings, bring a picnic and enjoy a movie under the stars in Wingfield Park, starting at 8:45 p.m.
Ruthie Foster Concert – This multi-talented singer/songwriter performs at the new Nugget Event Center on Thursday, July 11. FREE to the public. Pink Martini (July 9) – One of the world’s most elegant, cosmopolitan live bands, their approachable music appeals to everyone. Shelea (July 18) – Blending traditional pop, jazz, R&B and soul, she brings a contemporary edge to classics and a classic touch to contemporary pop. The SteelDrivers (July 25) – This award-winning quintet blends sounds of bluegrass with other genres, creating a repertoire of soulful emotion using the banjo and mandolin. Koresh Dance Company (July 26) – Founded by Israeli-born choreographer Ronen Koresh, the critically acclaimed company is known for engaging performance and technically superb dancing. Closing Night Concert – FREE to the public. The grand finale event at Wingfield Park takes place on July 31 from 7:30-10:00 p.m. But wait – there’s more! Interested in a particular genre? Click on the links below for a compete listing of activities relating to that subject.